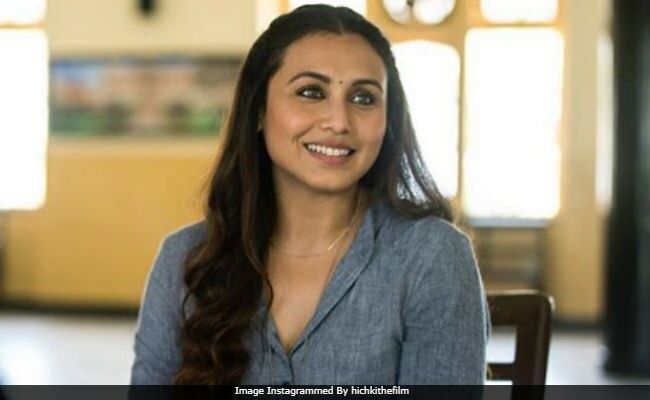 Director Siddharth P Malhotra believes that Hichki will take Rani Mukerji to a "whole new global audience"
Rani Mukerji's comeback film Hichkiis going places and we mean literally. The film will be screened at the opening day of the Shanghai International Film Festival on June 16, as a part of the Belt and Road Week of the festival, reports news agency IANS. Talking about this achievement, film's director Siddharth P Malhotra told IANS: "I am absolutely looking forward to presenting Hichki at The Belt and Road Film Week at Shanghai International Film Festival. It's a huge honour and a big opportunity and I am very grateful that they have included our film." Siddharth, who will be interacting with the audience post the screening also acknowledged film's protagonist Rani Mukerji. "I am also thrilled and touched at the love and applause Hichki has brought us. Rani and the kids take most of the credit for its victory on-screen, and I think Hichki will take her to a whole new global audience," IANS quoted him as saying. The news was disseminated by Bollywood trade analyst Taran Adarsh, who tweeted: "The much-appreciated Hichki will be screened at the Belt and Road Film Week of Shanghai International Film Festival in China." Check out Taran Adarsh's tweet here. The much-appreciated #Hichki will be screened at the Belt and Road Film Week of Shanghai International Film Festival in China... Screening takes place on 16 June 2018 [festival's opening day]... Director Siddharth Malhotra will interact with members of audience, post screening. Hichki is an adaptation of Brad Cohen's autobiography Front Of The Class: How Tourette Syndrome Made Me The Teacher I Never Had. The film revolves around the story of a determined teacher, who suffers from Tourette syndrome and balances her personal and professional life. The film fared well at the box office and collected o over Rs 76.54 crore pan India. Hichki also marked Rani Mukerji's comeback on the silver screen after 4 years. She was seen in the 2014 action-thriller Mardaani. Rani Mukerji married filmmaker Aditya Chopra in 2015 and they welcomed their daughter Adira in 2015.